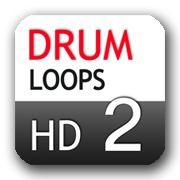 The ultimate sequel to Drum Loops HD! 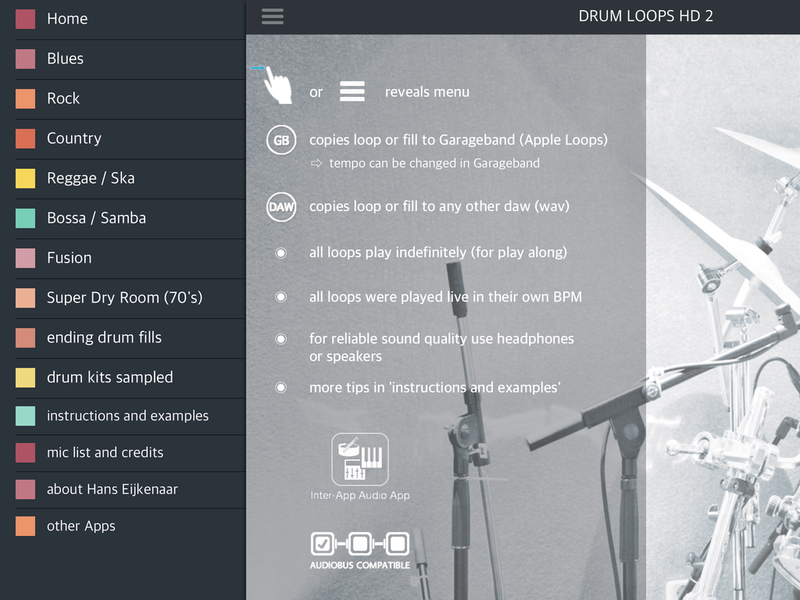 Another loops, fills and samples library for iOS musicians, constructed on the basis of user feedback on Drum Loops HD. This is a unique advantage of a small dedicated company, it can respond to user request in a proactive way. 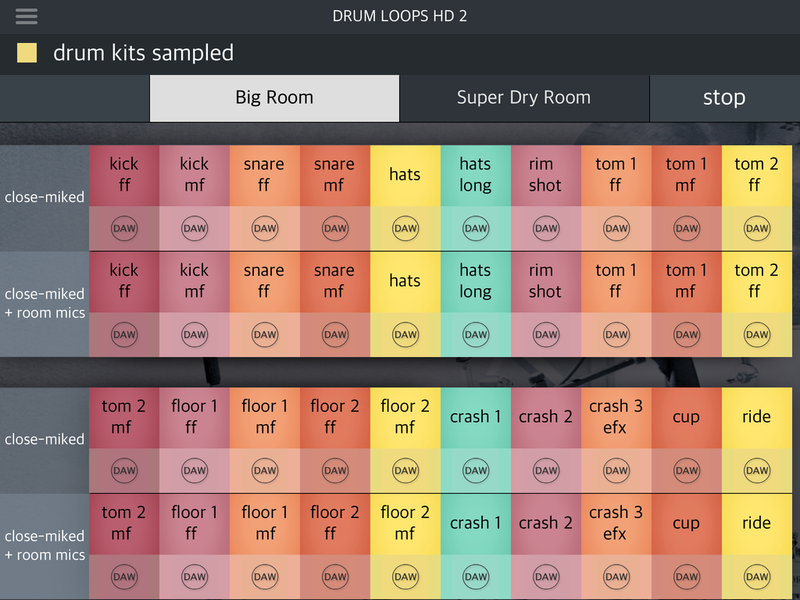 All chapters in Drum Loops HD 2 were asked for by early adopters and power users. 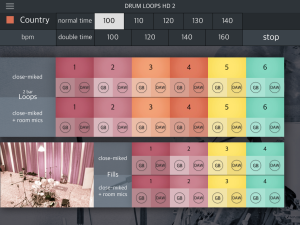 While in the first Drum Loops app by G. I. Records all samples are offered in 2 sounds, one being modern and the other vintage…in this app thee are also 2 mixes, one being dry (close-miked) and the other being the same plus ambience mikes mixed in, resulting in a luscious wet sound. Both mixes are in sample sync and can be mixed together for creative results. 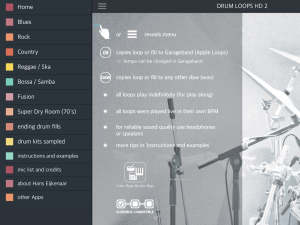 New styles include Blues, Rock, Country, Reggae, Bossa/Samba, New Orleans, Fusion and a unique Super Dry Room Chapter with grooves in that super dry 70’s sound (plus fills), all and all an inspiring library for musicians working on iOS! Most loops are 2 bar loops (no single bar loop in the app, no repetition effect) and some are 4 bars in length. 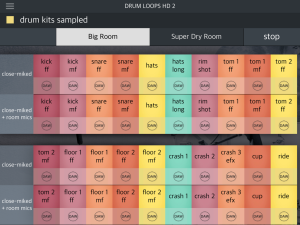 All loops (except the Super Dry Room chapter which has a distinct 70’s sound) come in 2 mixes, close-miked and close-miked plus room mics mixed in (natural room reverb), all in perfect sync.